A commission created by President Trump issued a letter on June 28 that, for better or for worse, demonstrated the complications of federalism in which states administer their own elections. Said complications have proved so controversial that the letter has essentially been temporarily rescinded as of July 10. The Presidential Advisory Commission on Election Integrity, formed this past May, initially sent a two-page letter attributed to vice chairman Kris Kobach to most states’ secretaries of state. In said letter, Kobach requested — and, critically, did not mandate — that states answer a questionnaire about election procedures (“What changes, if any, to federal election laws would you recommend to enhance the integrity of federal elections?” “What evidence or information do you have regarding instances of voter fraud or registration fraud in your state?”) as well as provide extensive data on voting. Though the laws of each individual state would need to be followed in this hypothetical disclosure, said data could include first and last names of registered voters, their addresses and dates of birth, the last four digits of their social security number, information on any felony convictions, their voter histories from 2006 onward and their political party if recorded. The letter suggests that secretaries of state submit their responses electronically to either an email address attributed to the commission or via the secure FTP site Safe Access File Exchange (or “SAFE”), which is used by the federal government for large data transfers on properly-configured military computers. It then reminds readers that any documents submitted to the commission can subsequently be made public. On July 10, the commission issued a subsequent email to several states asking for a hold on sending any data, citing a complaint filed by the Electronic Privacy Information Center which is waiting on a federal court’s ruling. The American Civil Liberties Union had filed a lawsuit against the commission earlier the same day and cited ongoing concerns regarding the commission’s potentially-obfuscated credibility and intent. More than 40 states had already responded with complete or partial refusals to comply. Those who would have provided some of the requested information include Vermont and North Carolina, both of which have cited preexisting open records laws and will not provide further information. Even Kansas, the state in which Kobach himself currently serves as Secretary of State, cannot legally provide social security numbers. Wisconsin, in the wake of the July 10 email, aborted plans to inform the commission how to purchase its publicly-available data for a cool sum of $12,500. Arkansas’ secretary of state had apparently already sent its eligible data, which court documents indicate will be deleted without the commission ever accessing the information. The state of Georgia would have provided information which is already publicly available, including voters’ names, parties and voting histories, but would withhold private information including social security numbers and driver’s license numbers. Secretary of State Brian Kemp and his office have repeatedly indicated that they have seen no evidence of fraudulent votes in the 2016 elections, and have cited Georgia’s voter ID laws as an important means to prevent fraud. Mississippi’s secretary of state, Delbert Hosemann, indicated in a statement that his office had not received any correspondence from the Election Integrity Commission as of June 30 and had received a copy of the letter from another state. Were they to receive the request, Hosemann indicated playfully and firmly that Mississippi would not comply. It joined California, Kentucky, Massachusetts, Minnesota, New York, Pennsylvania, South Dakota, Tennessee and Virginia, all of which said they would not comply on states’ rights and voter privacy grounds. Kobach’s letter initially requested that any information be submitted to the commission by July 14, which is now days away. Assuming the states who had denied the request never ended up contributing data, over 30 percent of the U.S. population would not have been represented in whatever data analyses the commission undertook. For the purposes of gaining insight into national-level trends those omissions would have posed significant challenges, especially because both important red and blue strongholds were then not represented. It remains unclear precisely what the commission intended to do with the data they might have collected. The June 28 letter describes the group’s mission as “studying the registration and voting processes … and submitting a report to the President of the United States that identifies laws, rules, policies, activities, strategies and practices that enhance or undermine the American people’s confidence in the integrity of federal elections processes.” It aimed to have a report written and presented to President Trump sometime in 2018 and may have subsequently issued recommendations to individual states. Critics of the commission have suggested since its creation that it is unnecessary at best, as there has not yet been any evidence of mass voter fraud, and potentially malevolent at worst. Governor Andrew Cuomo of New York referenced said allegations in his statement of noncompliance, saying that his state would not “perpetuate the myth voter fraud [sic] played a role in our election” and suggested that the commission focus on ballot accessibility. President Trump fired back at the states who have refused to participate on July 1, tweeting: “Numerous states are refusing to give information to the very distinguished VOTER FRAUD PANEL. What are they trying to hide?” The White House has not yet offered comment on the commission’s halted activities. Trump has claimed in the past that he would have won the popular vote in 2016 had it not been for mass voter fraud, particularly in Virginia, New Hampshire and California — claims which have been rated “Pants On Fire” by Politifact. 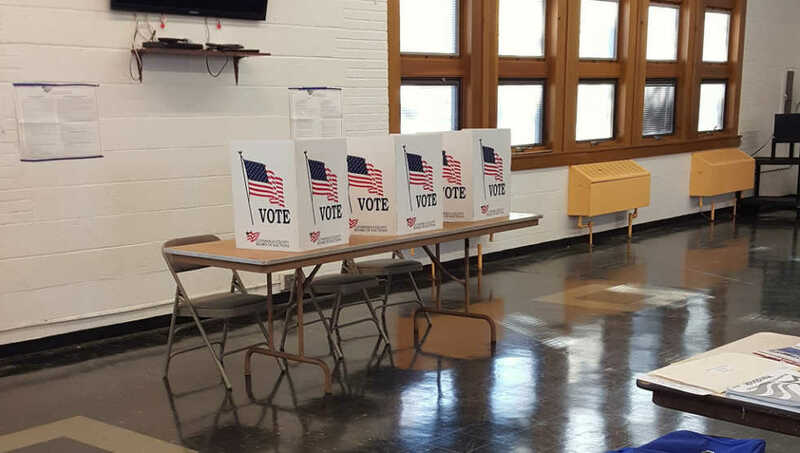 While hard numbers on the frequency of fraudulent votes do not exist, given the ease with which mistakes and accidents can be mistaken for fraud, it is estimated that fewer than 75 noncitizens were able to vote in U.S. elections between 2000 and 2014.